I don’t know about you but I am completely obsessed with an iced coffee in the summertime. Cool and refreshing and keeps me going all day long. I hate going out and spending all my money on iced coffee. 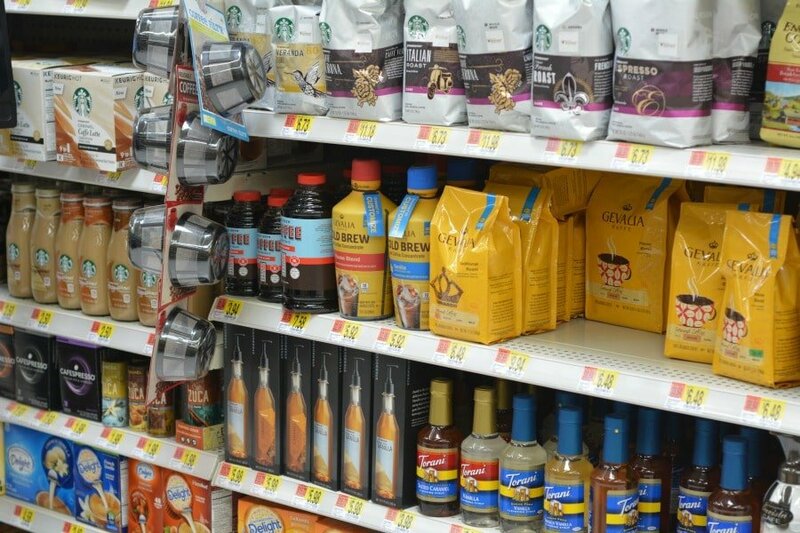 I was at Walmart the other day and happened to walk down the coffee isle and found Gevalia Cold Brew Concentrate. 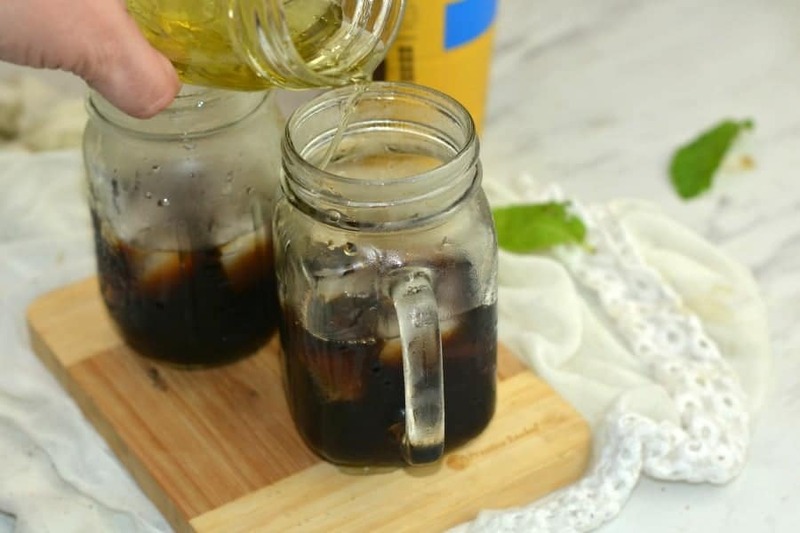 I have been craving a nice refreshing iced coffee for a new recipe. 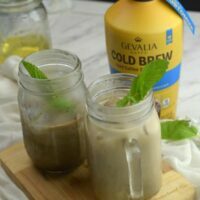 I wanted to try out a new recipe for Gevalia Cold Brew Vanilla Mint Iced Coffee using fresh mint. 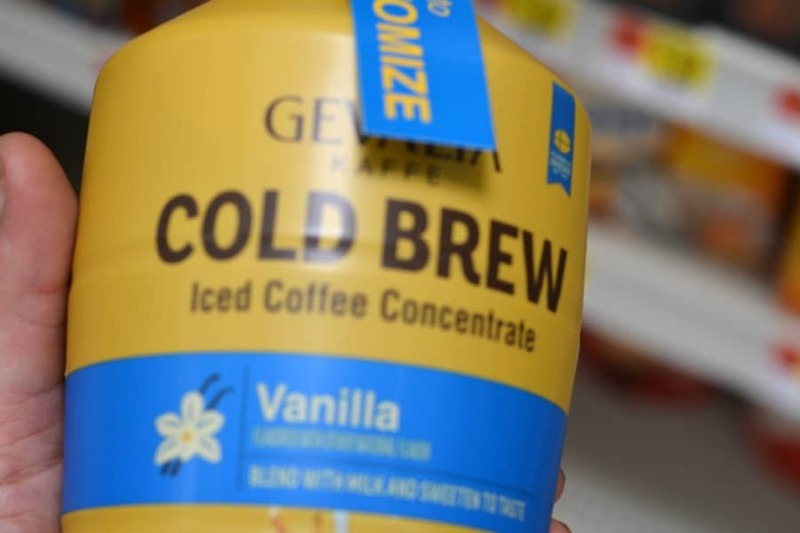 Gevalia Cold Brew Concentrate is an iced coffee concentrate and is meant to be mixed with something else (brewed to customize). This aspect makes it unique to other cold brews that you shake, pour or drink alone. 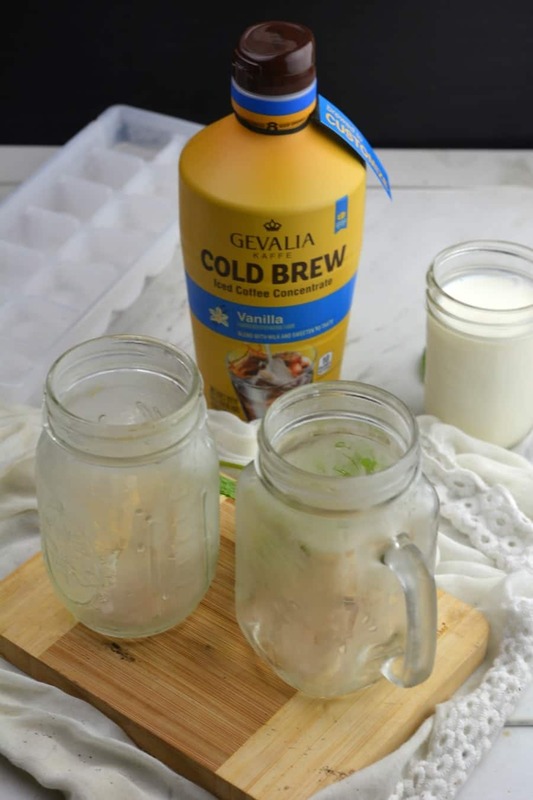 For this, you will need Gevalia Cold Brew Vanilla Concentrate, 1 cup Fresh Mint, 1 cup sugar, 1 cup water, 1 cup milk, ice. 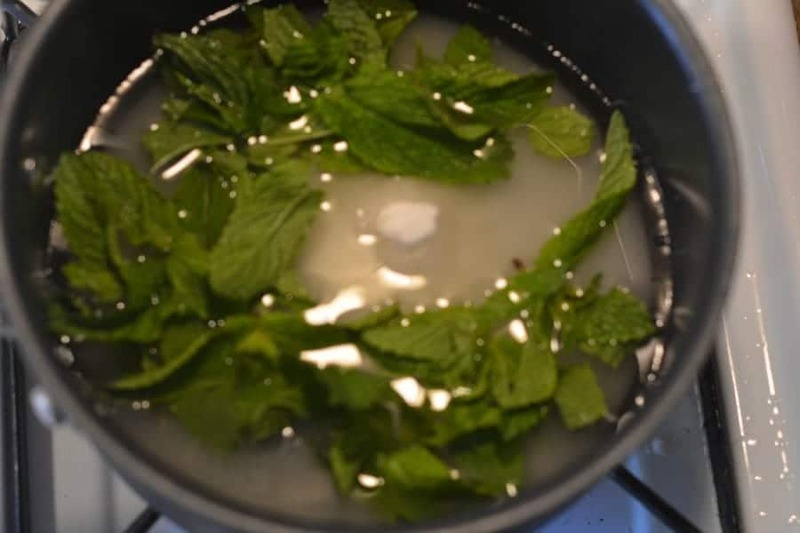 Pour one cup water, one cup sugar, and one cup of mint leaves in a small saucepan over a medium heat. Bring to a boil for 2-3 minutes until sugar dissolves. Remove from heat and let sit for 30 minutes. Remove mint leaves. 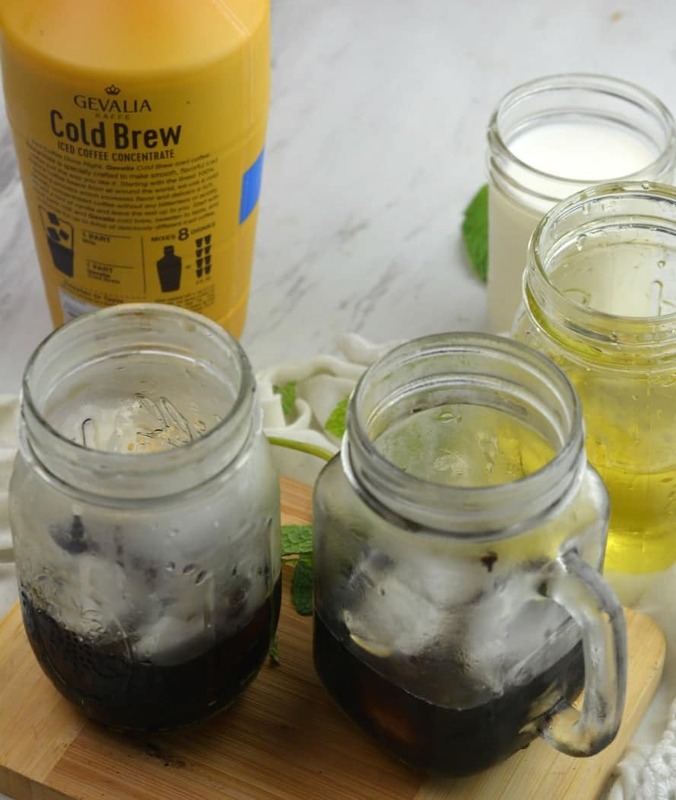 Pour 1 part Gevalia Cold Brew Concentrate and 1 part milk, add 1-2 tbs mint syrup. Fill the cup with ice. Serve and enjoy. The great thing about Gevalia Cold Brew Concentrate is that it is completely customizable. 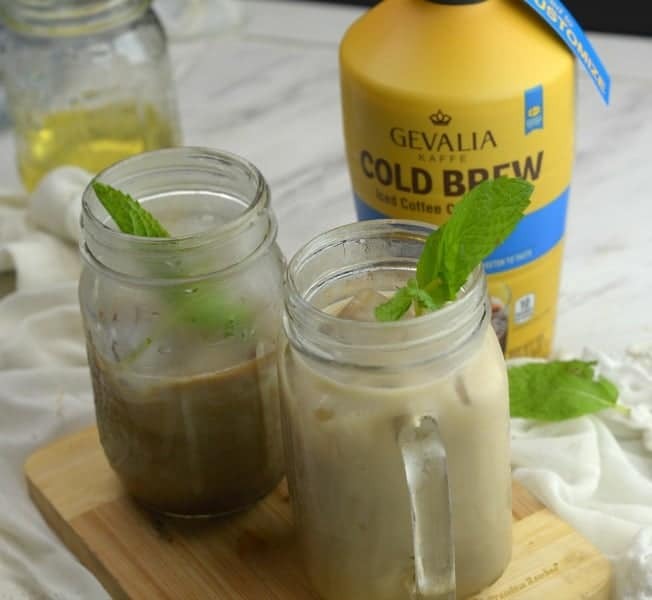 Gevalia Cold Brew Concentrate is an affordable alternative to your current coffee routine. No matter what you are in the mood for from mocha, to regular plain and even my recipe for vanilla mint. Right now you can get $1.00 off ibotta offer for Gevalia Cold Brew Concentrate. How cool is that? I am excited to try out more variations right at home. Pour one cup water, one cup sugar, and one cup of mint leaves in a small saucepan over a medium heat. Bring to a boil for 2-3 minutes until sugar dissolves.